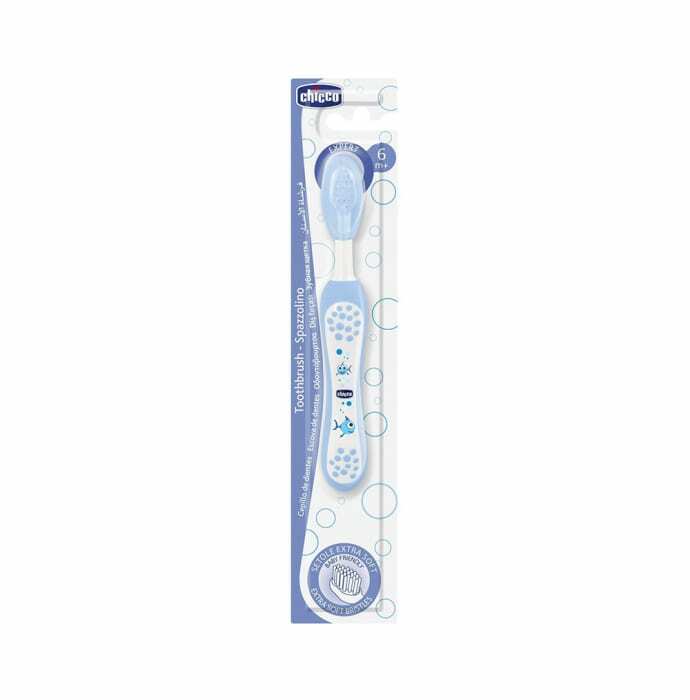 Chicco Toothbrush for 6 months to 2 years come with small rounded head, ideal for a child's mouth extra-soft tapered bristles to massage the gums and clean the teeth. Ergonomic handle covered in soft, non-slip rubber for extra grip. A licensed pharmacy from your nearest location will deliver Chicco Toothbrush for 6 months to 2 years Blue. Once the pharmacy accepts your order, the details of the pharmacy will be shared with you. Acceptance of your order is based on the validity of your prescription and the availability of this medicine.